Hummus has become a staple on nearly every menu — from sports bars to salad shops. So it’s no wonder the spread’s elemental ingredient, tahini, is also having a moment in the spotlight. Once a difficult product to find in conventional supermarkets, store shelves are now stocked with a number of tahini options — but only one is winning over some of the country’s best chefs. Soom Foods, a Philadelphia-based company founded by three sisters from Rockville, Maryland, got its start in 2013 after the oldest sister, Jackie Zitelman, introduced the others to a tahini from Israel made from pressed and roasted Ethiopian white humera sesame seeds. The chalkiness and bitterness often found in store brands? It was nonexistent. 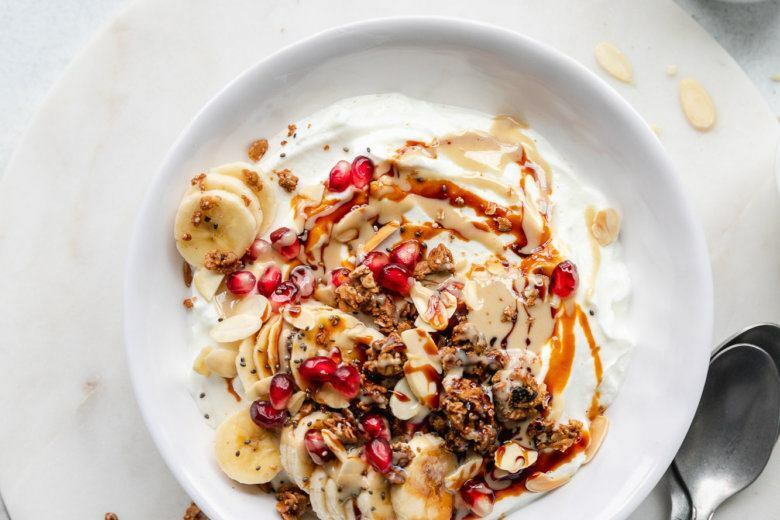 The sisters decided there was room in the U.S. market for a higher-quality tahini, so they launched Soom and brought the creamy condiment to the plates and palates of hummus-hungry Americans. Well-known chefs embraced the product — including Danny Bowien of New York’s Mission Chinese and Michael Solomonov of Philadelphia’s Zahav, who uses more than 1,400 pounds of Soom tahini each month in his restaurants, according to Food & Wine. Beyond hummus, Amy Zitelman said it’s been exciting to see all of the other savory, even sweet, ways professional and home chefs are using tahini. She recommends a drizzle on top of yogurt or oatmeal, and even adds a spoonful to her smoothie. The D.C.-based eatery Little Sesame makes a vanilla tahini soft serve, and Bon Appétit published a popular recipe for tahini brownies. On April 16, the Cleveland Park Israeli restaurant Sababa will host a “tahini feast” with Soom to showcase the versatility of the brand’s products (the sisters also sell a sweet tahini halva spread and a silan date syrup) over a number of courses — from salatim and (yes) hummus, to braised lamb and grilled broccoli. Tickets are $65 with a $35 optional wine pairing. If you can’t make it to the event, Soom’s products are also available online and at a number of small retailers in the region, including some Whole Foods Market locations.